Verizon recently made a big bang entry in launching 5G network and also achieved a major milestone in telecom history. 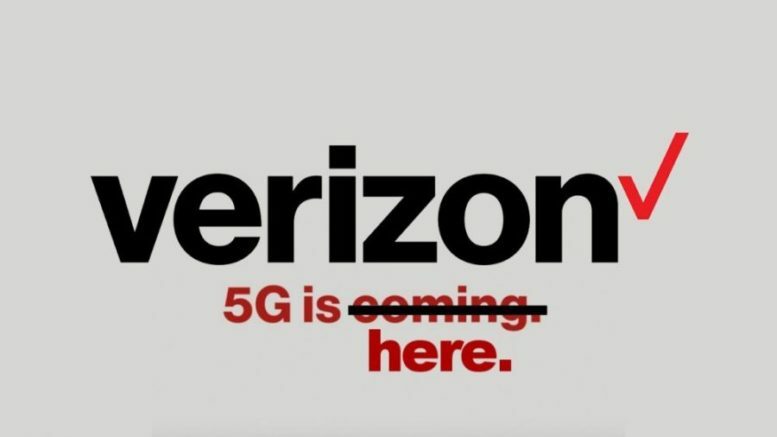 Verizon made an announcement that it has launched 5G network in two United States cities — Chicago and Minneapolis — becoming the first carrier in the world. The fifth generation cellular network will expand to 30 more markets by the end of the year, Verizon said. The new 5G system boosts data speeds to 450 megabits per second, with peak speeds of nearly 1 gigabit per second — about 10 times faster than 4G speeds. Couple of smartphones in the United States are currently 5G-compatible and only a select number will support the network initially. Samsung is expected to release a 5G model through Verizon by June,2019 and other U.S. carriers by the end of the year. The $240 Motorola Z3 is only phone right now that can operate on Verizon’s 5G network, and only after installation of a $200 modification. Telecom companies T-Mobile and Sprint say they are also planning to roll out their 5G network in the coming months. The new service is concentrated in both cities’ downtown areas, the carrier said. To accommodate its entry into 5G, Verizon restructured its business in November to create separate entities for consumers, businesses and its media group.